WHAT: The University of Illinois Springfield Astronomy-Physics Program and Lincoln Memorial Gardens will host a special Star Party to view the annual Perseid meteor shower. WHEN: On the night of Sunday, August 11 the Star Party will start at midnight and run until dawn on Monday, August 12. WHERE: Lincoln Memorial Gardens, 2301 East Lake Drive, Springfield, Ill. DETAILS: The Perseids meteor shower takes place annually in the beginning of August when the Earth passes through a stream of debris crossing the Earth’s orbit from the comet Swift-Tuttle. In 2013, the shower is predicted to peak between August 11 and August 13. This year the Moon sets about midnight during the peak, making the morning hours also the darkest hours to look for meteors. The Perseid meteor show is known for producing more fireball type meteors than any other meteor shower. In a dark location on any given night you between 3-5 meteors per hour can be spotted. During the peak of a shower like the Perseids one may observe up to 60 meteors per hour. People attending the before dawn event at Lincoln Memorial Gardens should park in the spaces just off East Lake Shore Drive. Observing will be done in Crawly Meadow across the street from the nature center. Attendees are encouraged to wear bug repellant, dress appropriately for the cool pre-dawn hours, and bring lawn chairs or blankets to sit on. The event may be canceled for cloudy weather. Questions about whether the weather is suitable for viewing should be directed to 217/206-8342 after 7 p.m. on August 11. Updates will also be posted on the UIS Observatory Twitter feed. 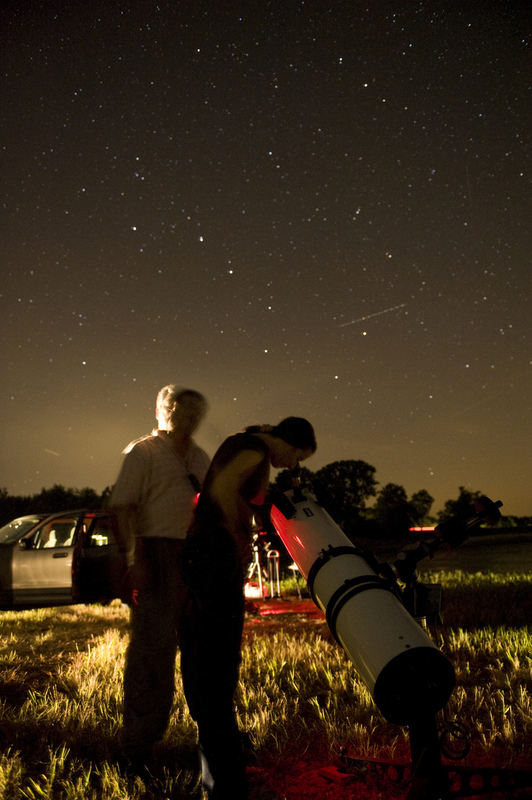 For more information on Star Parties, contact Astronomy-Physics Assistant Professor John Martin at 217/206-8342 or Joel Horwedel at Lincoln Memorial Gardens at 217/529-1111. Lincoln Memorial Garden is a 110-acre woodland and prairie garden located on the shores of Lake Springfield. The Lincoln Memorial Garden Foundation, a not-for-profit corporation, manages the Garden as a public facility. Its maintenance, programs and events are funded by donations. The Foundation’s purpose is to manage and fund the preservation and improvement of the garden, established as a living memorial to Abraham Lincoln, consistent with Jens Jensen’s design philosophy and to provide opportunities for children and adults to learn about the environment.